Who says that hiking boots can’t look like running shoes, and yet perform as hiking boots? These waterproof and breathable boots can take any kind of trail in a great, elegant style, keeping bad smell, moist, injuries, discomfort away 3 seasons a year. Some of the finest boots synthetic can make! They are not as moldable as leather boots are. I am a Millet fan- I have Millet running shoes, but they don’t work when hiking and I wanted something especially for that. 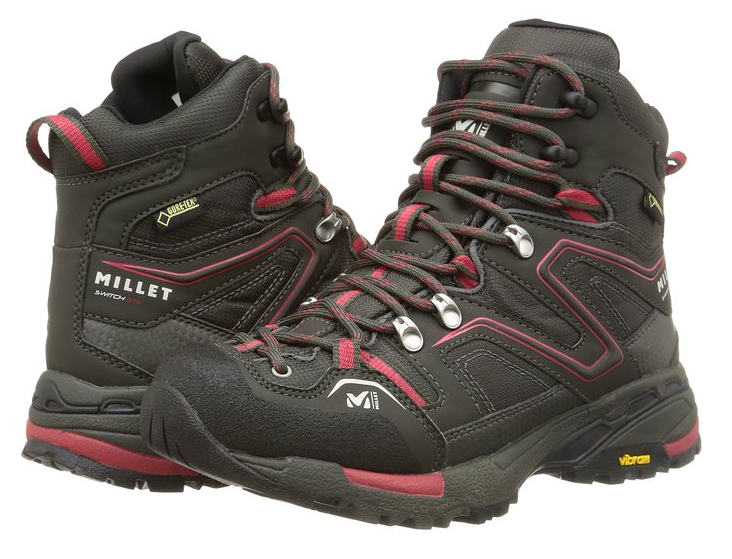 I was, therefore, familiar to the quality of Millet shoes and wasn’t surprised when I got the hiking boots. I really liked the color combination and the small details made all the difference: the boots are stylish, sleek and stand out by their style. The boots still look like running shoes, but they are supportive and protect the feet like hiking boots. They work great on light hikes, on all types of surfaces. They are waterproof and breathable, thanks to the Gore-Tex barrier. My feet remained dry when it was raining and warm enough in the cold weather. 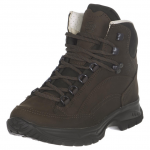 The boots are made entirely of synthetic materials and they dry very fast. They feel lightweight and give a good ankle protection. The Vibram sole gives a good grip even on the mountain trails and for the advanced ones. The midsole is a good buffer when hiking the rocky trails (shock-absorbancy is efficient) and gives stability just as well. The footbed is antibacterial treated so it reduces the risks of bad odors in the boots. The boots are more robust than running shoes, they protect far better the feet and are amazing in multi-day hikes, while lightly backpacked. There is a good protection on the boots against abrasion so they can take shocks pretty well. The rubber toe is reinforced, so I got no toe hitting the front while hiking downhill. The light cushioning is nice and soft, giving comfort, while the breathable footbed makes summer hiking so much nicer. 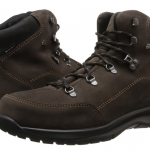 These boots are 3 season boots- they handle the summer and the light winter pretty good. The lacing is very precise (with hooks, strong eyelets, straps) and goes to the toe. This means I can tie the laces as tight as I need them, conforming to my feet. The protective rand is efficient, as is the arch support. I like so many things about this boots and only some issues appeared since I got them. They are not for the cold winter- this is obvious since the boots are highly breathable. You win some, you lose some… in this case you lose the warmth. As they are made of synthetic materials, this means they will never mold to your feet as leather boots would. So… you can wear these right off the box, but they will never become the shadow of your feet. But still, they provide good comfort. All in all, I now own two Millet products and I am happy with both of them!